The file Wolfenstein3D: COOP+DM v.16112018 is a modification for Wolfenstein 3D, a(n) action game. Download for free. 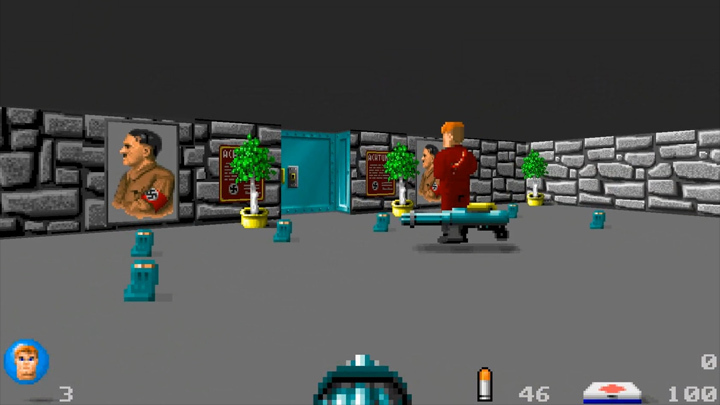 Wolfenstein3D: COOP+DM is a mod for Wolfenstein3D, created by S.D.A. Yes, after ~26 years it works online and mainly LAN. - rotated pain and shoot sprites for these Bosses: Hans, Schabbs, FakeHitler, Hitler, Otto, Gretel, Fat, Trans and Wilhelm. Ubermutant, Death knight and Angel of Darkness has no rotated sprites yet. - please forgive me, but I changed the 2nd and 3rd SoD mission packs complete design into the original walls and objects and everything, because I'm very sick of those design. Cannot imagine how could they release with that ugly, terrible, awful...etc. design. - and the most important: now you and your friend can play all map in cooperative or deathmatch mod!!!!! - I couldn't test all maps, just 15-20 maps, but they worked perfectly without any mistake and knowing these technology I'm 99% sure that the other maps will also works. - to customize the game check out the Controls menu from the Main menu. - this is a first+last time release, I don't want to update but I think it's not necessary, everything included. - if you want to add/modify something feel to free. - if you like other ww2 coop games, check out my Medal of Honor COOP mod! - Just extract the file into a separated folder and edit/use the bat files. No need anything other file/game/etc. Just your friends. - this program has no server browser, so to start the multiplayer game the host must start the server (by bat file) and all of the clients must join. - i recommend to use LAN connection if its possible, net game sometimes was lagged. - I repeat: use ONLY the *.bat files in the game's folder, because the exe will start zdoom. open it with Notepad and edit the command line by the detailed information in the .bat file.